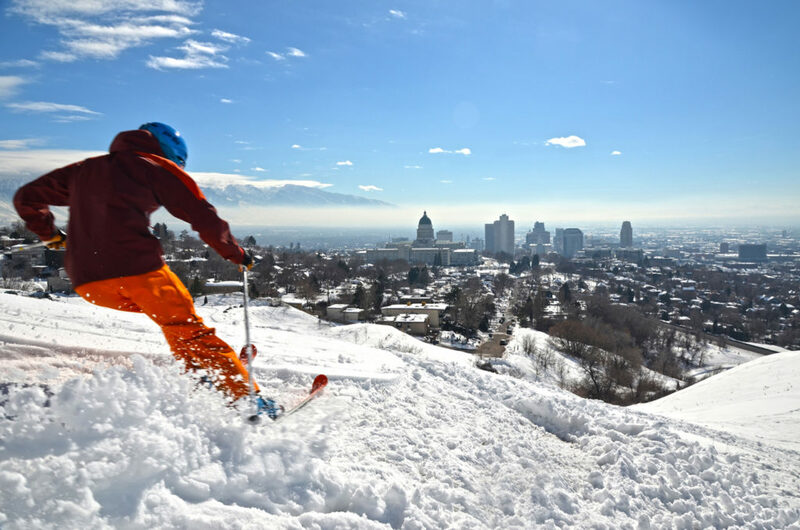 “Ski City” is the unofficial nickname for Salt Lake, the dynamic western city that’s the gateway to “The Greatest Snow On Earth,” and its four world-class resorts – Alta, Brighton, Snowbird and Solitude – are each less than 40 minutes away and averaging 500” of snow each winter. Utah’s capital city has premier performing arts venues and is home to the Utah Jazz. There’s a vibrant bar scene, a wide range of dining choices and a host of lodging options at different price points. The UTA TRAX Light Rail, which connects Salt Lake City International Airport with downtown in 20 minutes, also connects with Ski Bus stops to all four resorts. Alta Ski Area is adding a fixed-grip quad chairlift connecting the ski area to the newly expanded Snowpine Lodge. 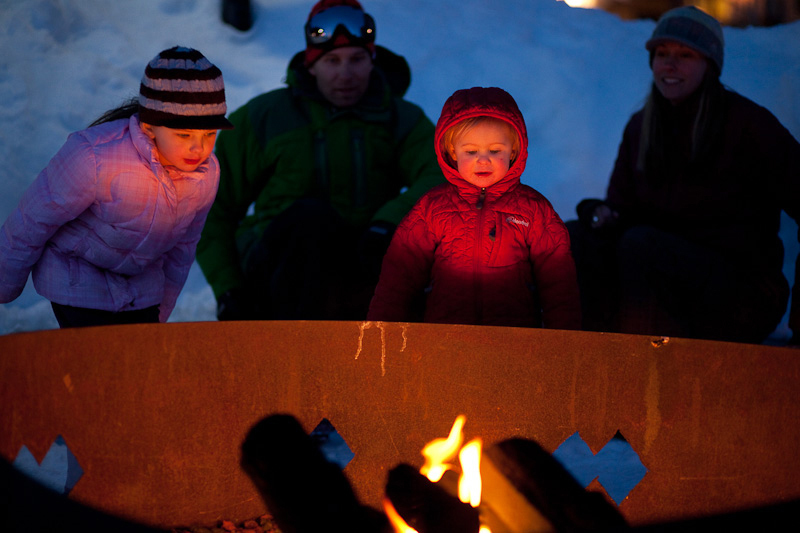 The Alta Environmental Center and Alta Ski Area are working toward their energy efficiency targets to meet a 2020 goal of 20 percent reduction in carbon emission. Brighton Resort is one of the newest additions to the Ikon Pass, which gives passholders access to 36 resorts in the West (including all four Ski City resorts), the East, Canada, Japan and Australia. Passholders will get five or seven days of skiing or riding at Brighton this season, depending on which Ikon Pass is purchased. 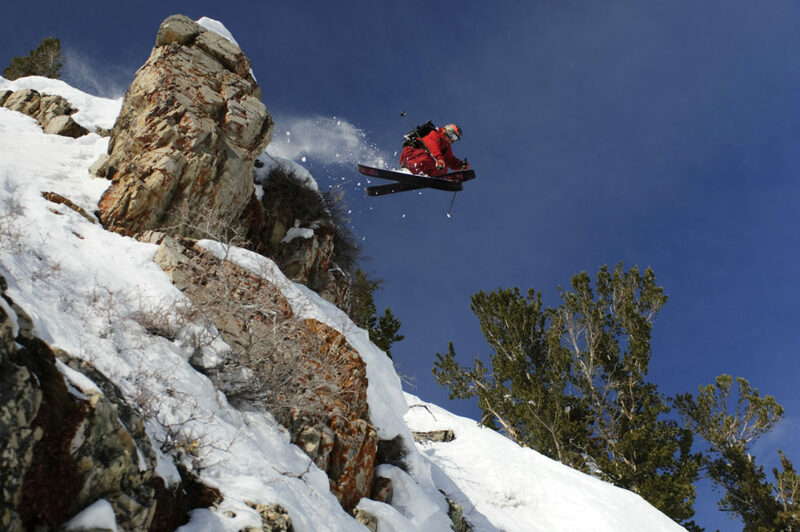 All of Brighton’s terrain is accessible by high-speed quads, and the resort has the most night skiing terrain in Utah with 22 runs on over 200 lighted acres. And as always, kids 10 and under ski free. This summer, Snowbird installed two pedestrian bridges allowing for easier access to The Cliff Lodge, Snowbird Center and Lower Village. From the base of the Peruvian Chair, the 70-foot Peruvian Bridge provides direct and easy access to the resort’s famed Aerial Tram. The Chickadee Bridge covers the entire expanse of lower Chickadee trail. Spanning 491 feet in length, the trestle-style bridge allows for easy foot-traffic along the covered walkway while guests ski underneath. The renovation of the Snowbird Center adds a 1,700-square foot guest lounge on Level 2, while a new Smart Wall features real-time Snowbird informational displays as well as charging stations for phones and cameras. The Forklift has a new outdoor bar. Construction of a new restaurant and additional conference space has been added on the west side of The Cliff Lodge. This family-friendly restaurant provides unobstructed mountain views, tiered seating and an outdoor patio with fire pits. The Cliff Lodge West Wing Addition is scheduled to open during winter 2018-19. Utah native and two-time U.S. Olympian Jared Goldberg was recently named the official “Ambassador of Speed” for Snowbird and credits his focus on the race hill to the experiences at Snowbird that instilled a lifelong love of skiing. The downhill national champion got his start at Snowbird when he was four years old and plans to compete at the next Olympic Winter Games in 2022. Solitude Mountain Resort joined the Alterra Mountain Company, and its Ikon Pass offers unlimited skiing and riding at Solitude this winter. Solitude is just over 30 miles from downtown Salt Lake and its international airport, making it one of the closest resorts to the city. The Ski City Super Pass is one of the industry’s most flexible and value-laden passes available and is good at all four Ski City resorts. One- and 2-day Super Passes are available as part of a hotel package or sold online in increments of three to 10 days of skiing (valid over a 14-day period), features no blackout dates and offers deep discounts on lift tickets. The direct-to-lift Super Pass also lets skiers bypass the ticket windows and comes with free transportation to and from the resorts on UTA ski buses and TRAX light rail, making renting a car an option rather than a requirement. It also offers equipment rental discounts at participating rental locations. For more information, visit the new Ski City website with lots of info about what makes this urban center the ideal basecamp for skiers and riders.